TCW Reviews: The Boondock Saints Coming To a Comic Shop and iPad Near You! 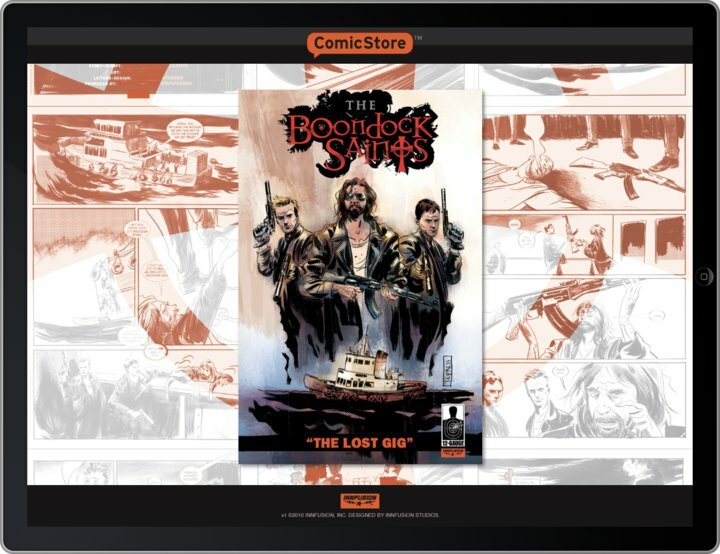 The Boondock Saints Coming To a Comic Shop and iPad Near You! Just when you thought it’d be another grueling decade before we’d see the brothers in arms once again, news have started circulating the net about the upcoming Boondock Saints comic set to be released later this April! That’s right folks, it seems that the brother are set to star in their own one shot comic called THE BOONDOCK SAINTS: “THE LOST GIG”. 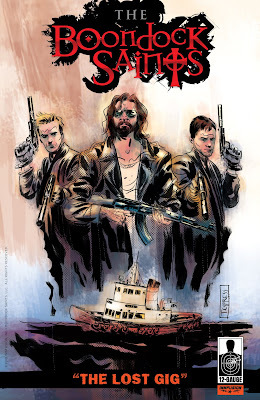 The Lose Gig which will act as a primer to the highly anticipated debut comic series, THE BOONDOCK SAINTS: “IN NOMINE PATRIS” which will hit comic stands later in May. The One Shot will follow the MacManus brothers on one of their lost adventures. What makes this even more so trilling is the fact that Writter/Director Troy Duffy co-wrote the comic and has confirmed the comic to be “Cannon” and it will fully satisfying it’s dedicated fan base as well as invite comic readers new to the series who never heard of the films to enjoy the action packed adventure of the MacManus brothers. But there’s even more good news to add on to this! Aside from the comic hitting the news stands soon, it will also makes it way to the iPad! Yep, you read it right, you’ll be able to pick up a copy or download it straight onto your iPade or iPhone and iPod (sweetness!) Below you find the full details regarding this plus a SNEAK PREVIEW OF THE COMIC! Enjoy! 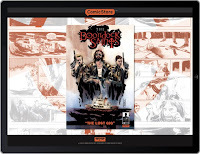 LOS ANGELES, California---April 14, 2010---The BOONDOCK SAINTS have launched into comics on Apple’s revolutionary new iPad via INNFUSION’s new digital comics platform: ComicStore! TROY DUFFY’s original BOONDOCK SAINTS film is one of the most successful independent movies of all time, with a fiercely loyal and devoted fan base. 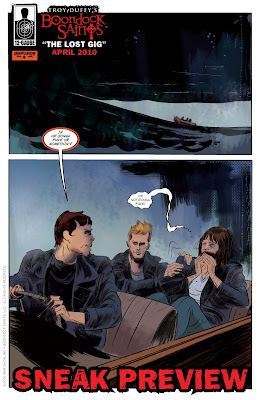 Now, on the heels of the recent theatrical release of THE BOONDOCK SAINTS II: ALL SAINTS DAY, comes, “The Lost Gig” is destined to thrill both Boondock Saints and comic book fans alike. 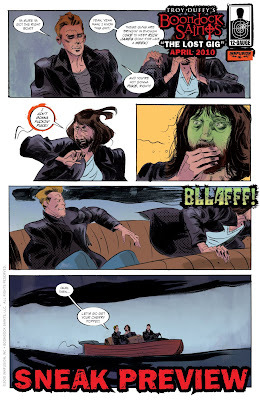 Written by BOONDOCK SAINTS creator/writer/director TROY DUFFY and comic scribe J.B. LOVE, (with art and cover by TOBY CYPRESS) “The Lost Gig” is a brand new “in canon” story that ties directly into the first Boondock Saints film. “The Lost Gig” features fan favorite character ROCCO along with the BROTHERS McMANUS as they take on a group of drug dealers, right before their famous encounter with Vincenzo. Join the McMANUS BROTHERS and ROCCO as they wreak havoc (and machine gun fire!) on a whole new group of evil men, complete with the action, humor and banter that Boondock Saints fans have come to expect from the beloved characters. Fleshing out this special one shot is an EXCLUSIVE INTERVIEW with Troy Duffy about the saints in comic form, sketches and behind the scenes art from Toby Cypress, as well as an exclusive sneak-peek of May’s THE BOONDOCK SAINTS: “IN NOMINE PATRIS”, produced by INNFUSION and published by 12-Gauge Comics! “The Lost Gig” is also available in PRINT exclusively through The Boondock Saints Web Store (http://www.boondockstore.com/) and can be Pre-Ordered now. The first 1000 pre-orders will be signed by TROY DUFFY. The printed edition ships in late April, 2010.